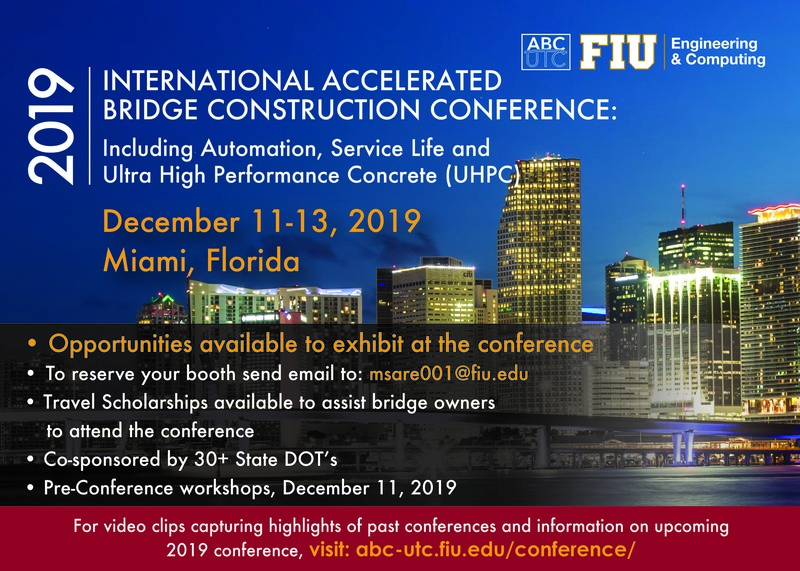 The 2019 International Accelerated Bridge Construction Conference, sponsored by the ABC-UTC, will be held on December 12-13, 2019 in downtown Miami, Florida, with pre-conference workshops on December 11. Please mark your calendars and check the left vertical menu for additional details as they become available! 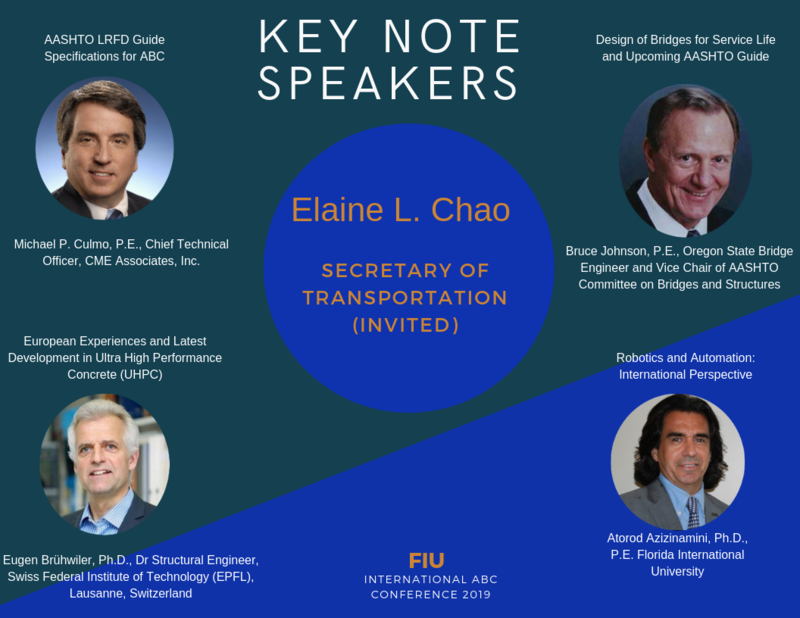 To put your name on the ABC-UTC mailing list to receive more information on the 2019 Conference, please contact Mrs. Mina Saremi (954-895-7728). Please visit Conference Archives for details on the 2014, 2015, and 2017 National ABC Conferences. 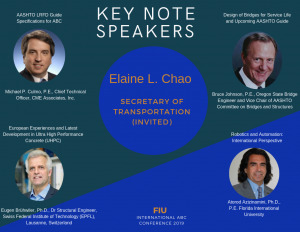 FIU is an official sponsor of continuing education in Florida and in New York State (NYS). The conference is, therefore, valid for continuing education credit for both states.